Rabbi Cahn's new book provides the reader with an advanced treatise on the tenets of our faith. 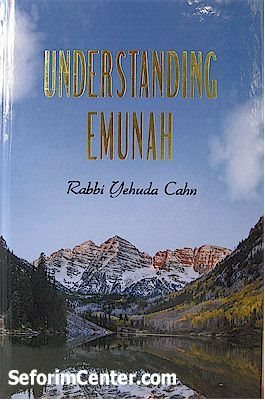 Rav Cahn, a lawyer and religious teacher addresses the deepest and most mystical secrets of our faith in a relentlessly logical step by step legal fashion. A must read work that will excite and reinforce the readers faith in Hashem. Yehuda Cahn graduated Columbia University in 1977 and earned a Masters degree in Talmudic Law from Ner Israel Rabbinical College in 1982. He also has a law degree from University of Maryland School of Law which he earned in 1985. Rabbi Cahn was ordained by Rabbi Moshe Heinemann in 2007. Please look inside this great book for more details.